Clarice brainwashes Lacy and sends her to terrorist training camp at the monotheist religious camp on Gemenon. 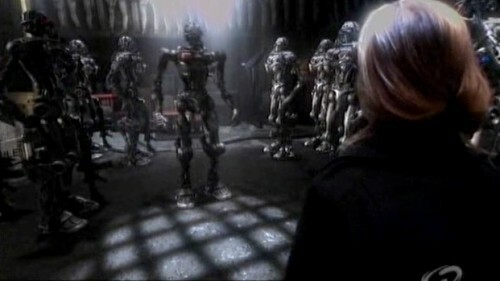 But the Soldiers of the One have also been stealing military robots and it turns out Zoe made all the robots obey Lacy. Boom. Two teenage feminists basically change the entire worlds.